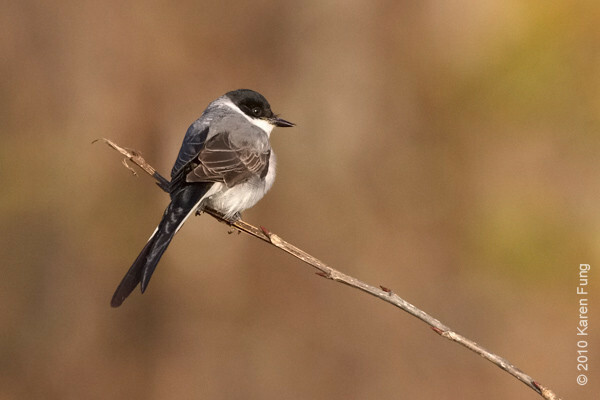 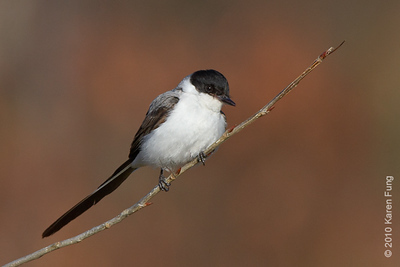 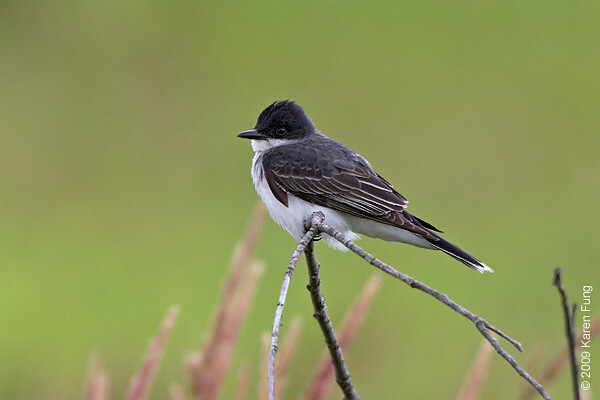 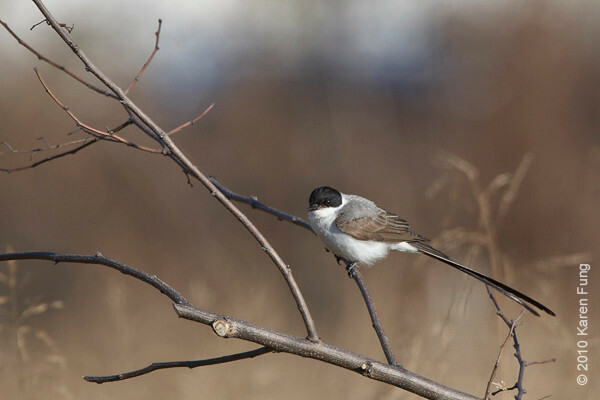 29 November: Fork-tailed Flycatcher in Stamford, CT. 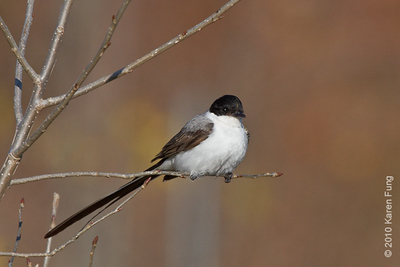 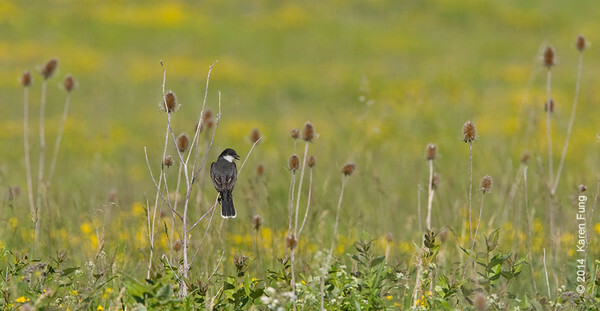 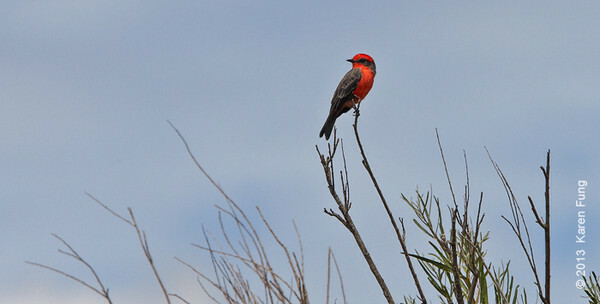 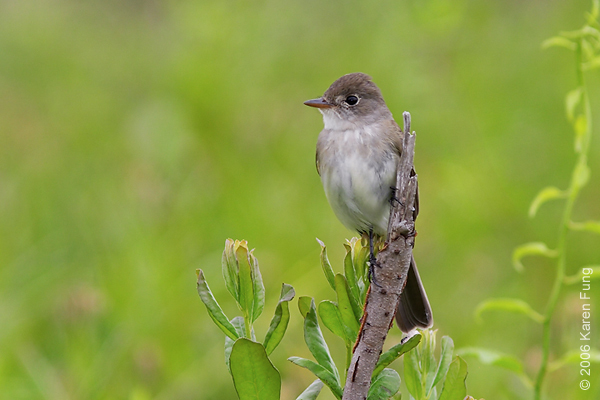 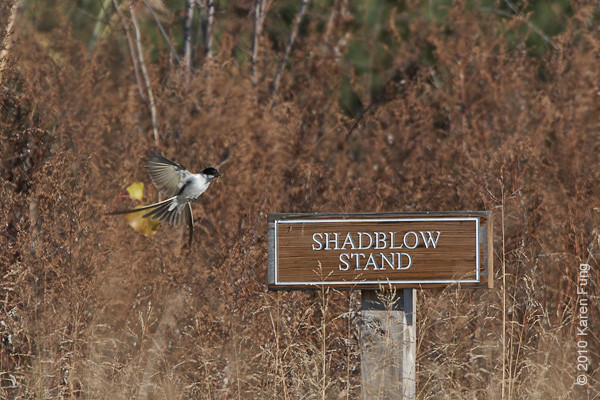 This is a very rare bird for the Northeast, and would normally be in Mexico or Argentina at this time of year. 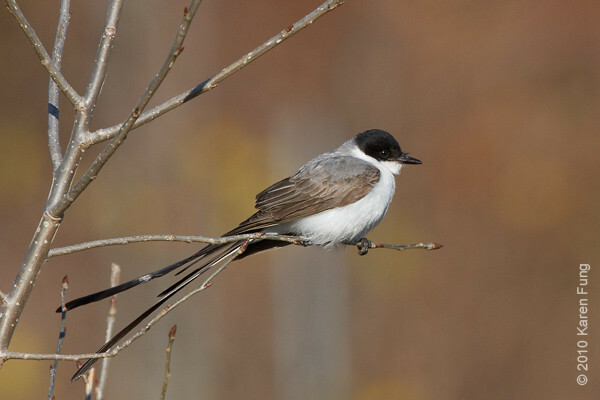 29 November: Fork-tailed Flycatcher showing off his tail in Stamford, CT.
29 November: Fork-tailed Flycatcher in Stamford, CT.
21 November: Fork-tailed Flycatcher in Stamford, CT. 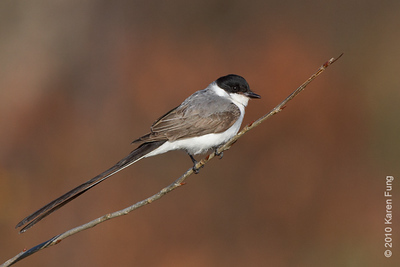 The tail is foreshortened from this angle. 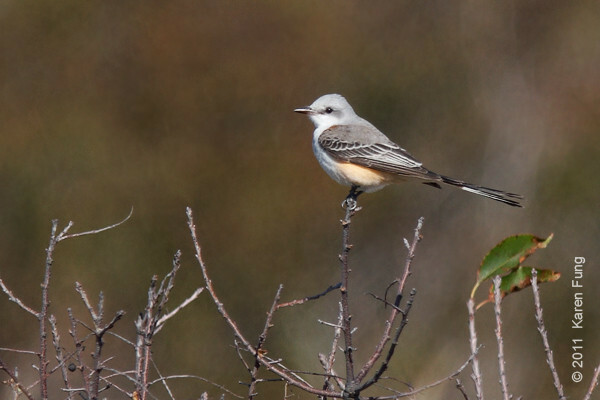 29 November: Fork-tailed Flycatcher in Stamford, CT. Yellow stripe slightly visible on crown, indicating a male. 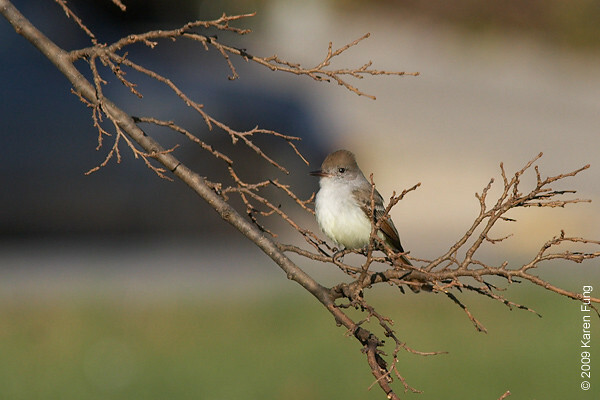 Nov 29th: Ash-throated Flycatcher in Queens, NYC. 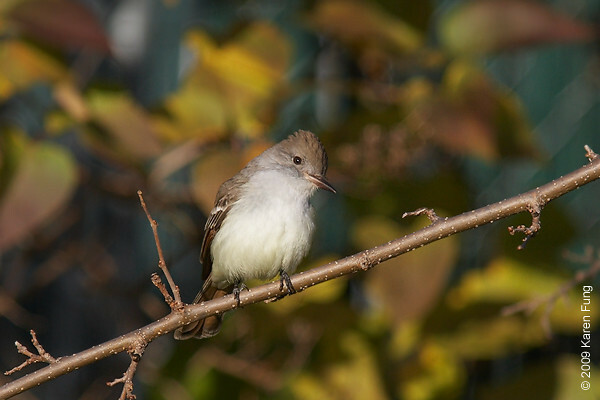 A rare visitor to New York; found by Rudy Badia, Richard Aracil and Heydi Lopes on Nov 22nd. 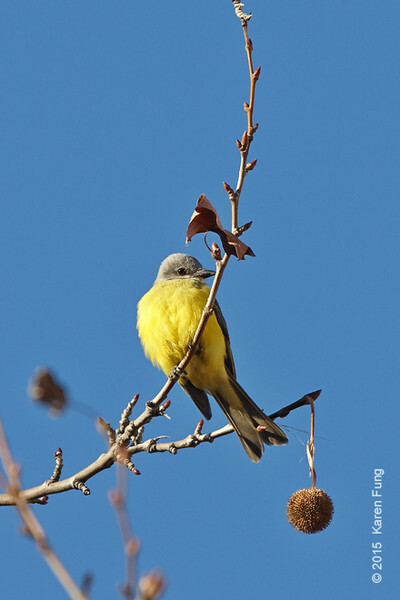 28 November: Western Kingbird at the NY Botanical Garden (Bronx). 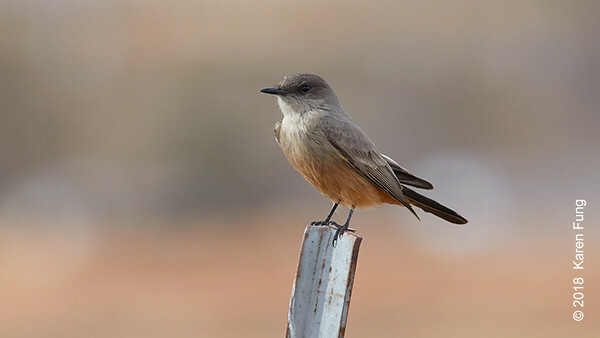 A rare visitor to this region. 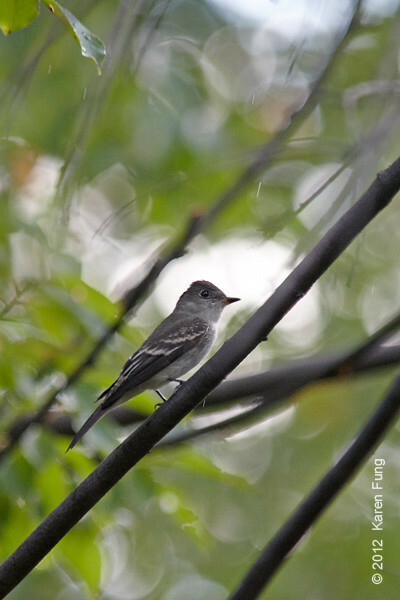 Nov 29th: Ash-throated Flycatcher in Queens, NYC. 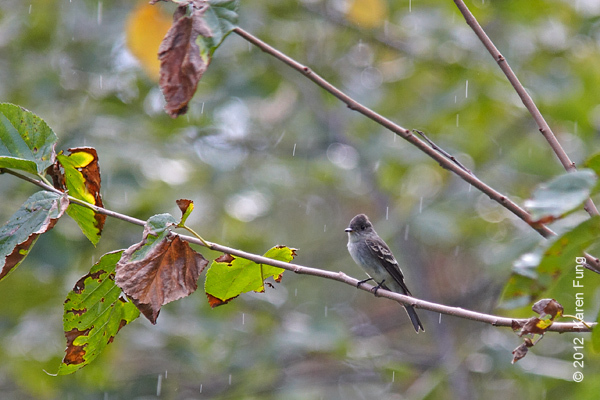 A rare sighting for New York. 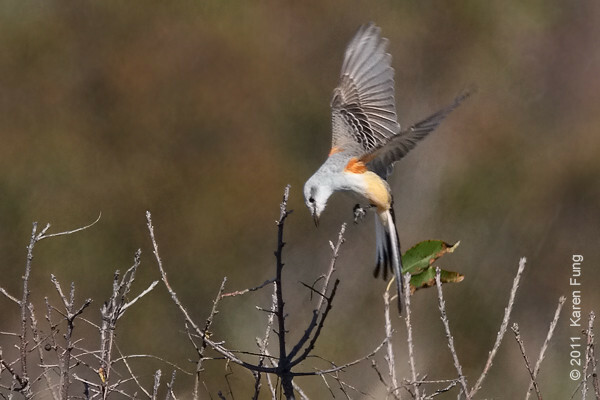 29 November: Fork-tailed Flycatcher in flight with grasshopper in bill. 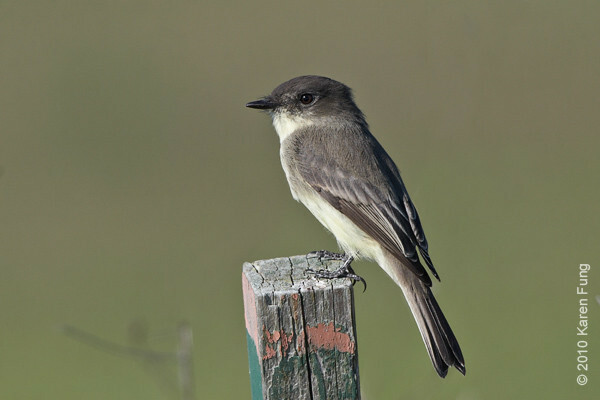 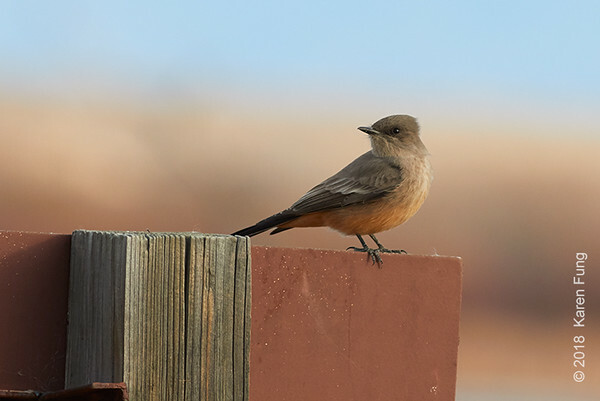 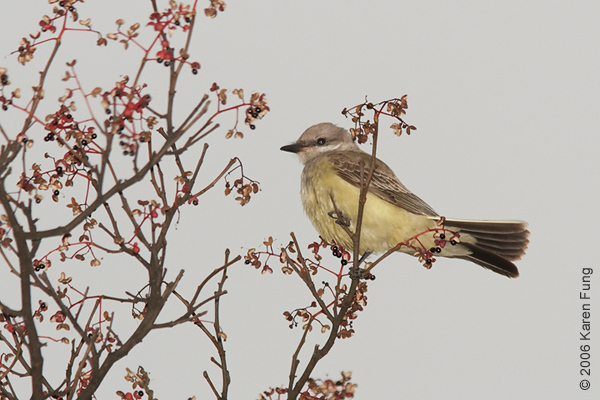 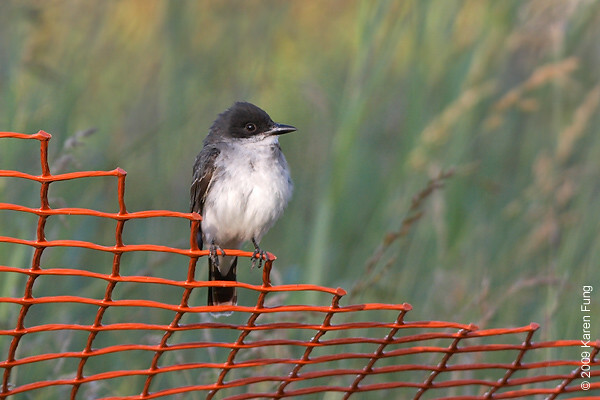 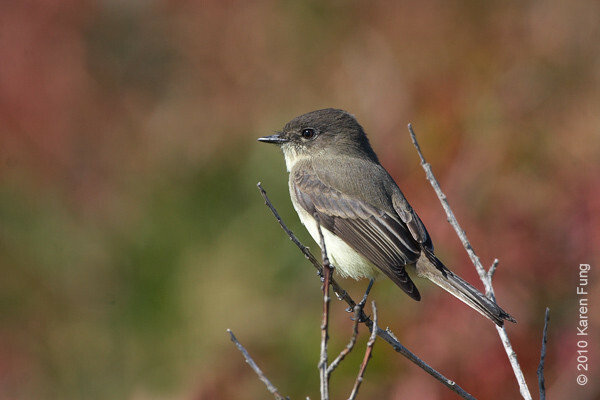 Stamford, CT.
30 Nov: Cassin's Kingbird continuing at Floyd Bennett Field (Brooklyn). 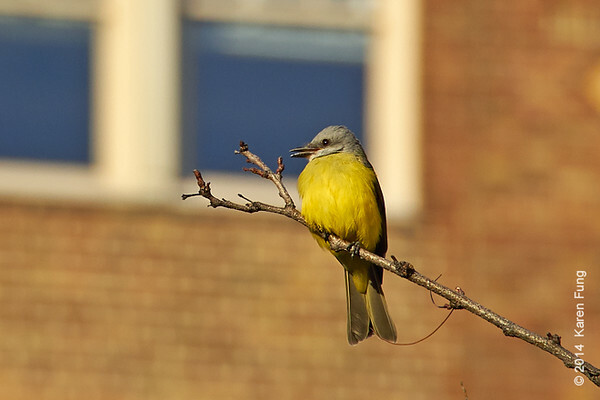 1 Jan: Couch's Kingbird in Manhattan's West Village (continuing). 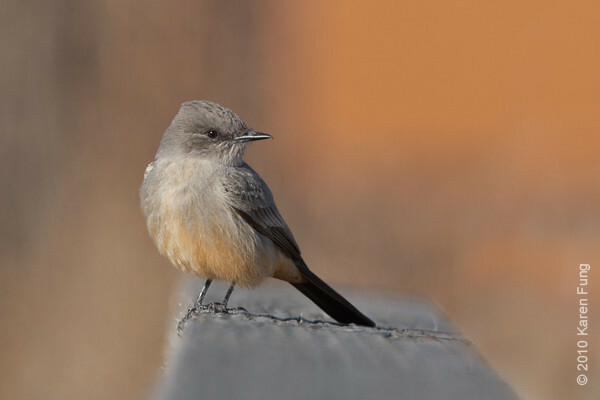 First reported ~ 25 Dec though seen for at least 4 weeks prior to that. 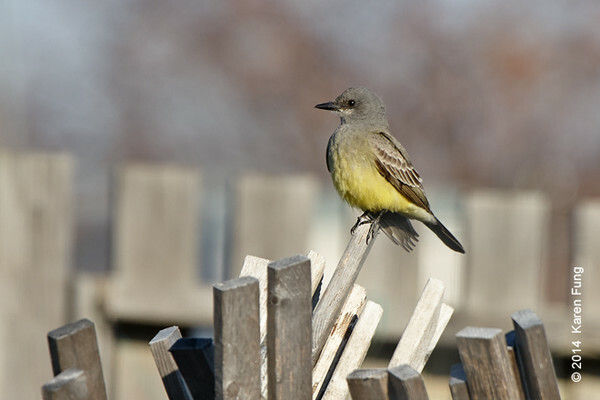 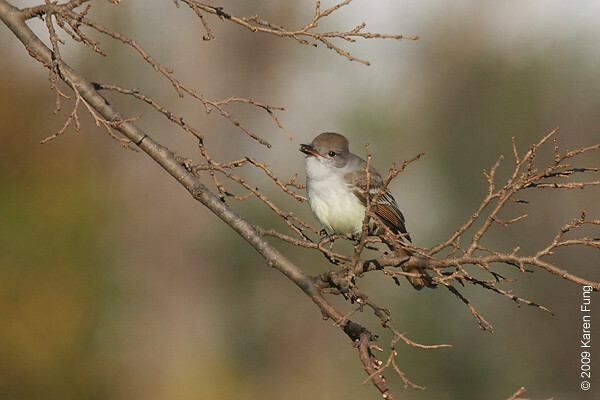 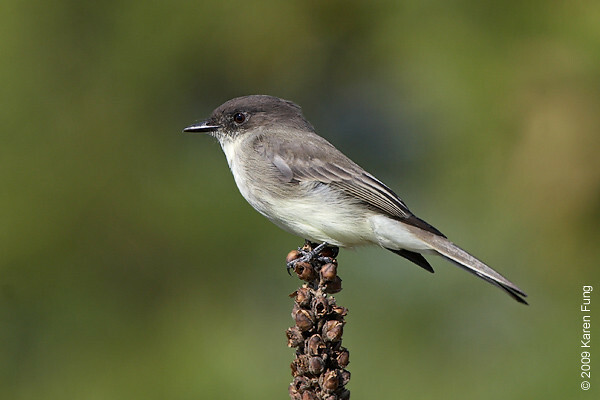 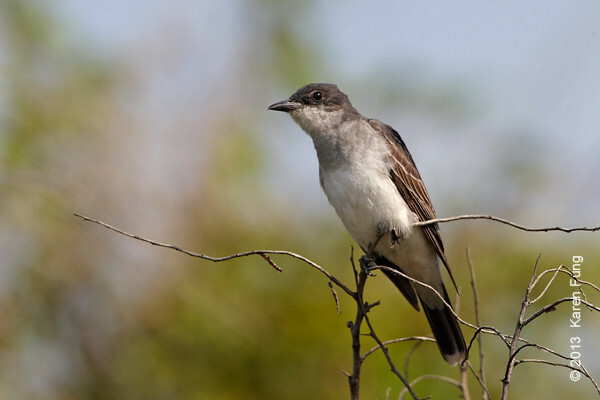 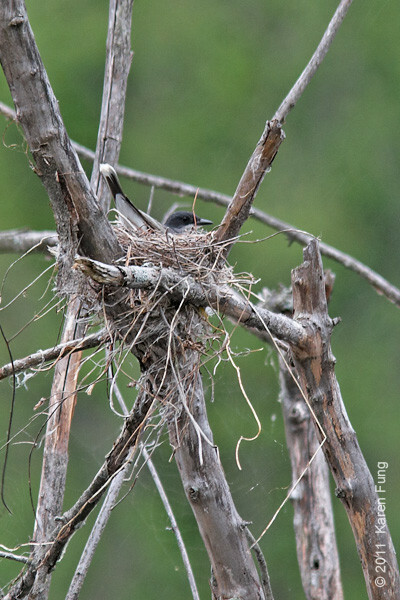 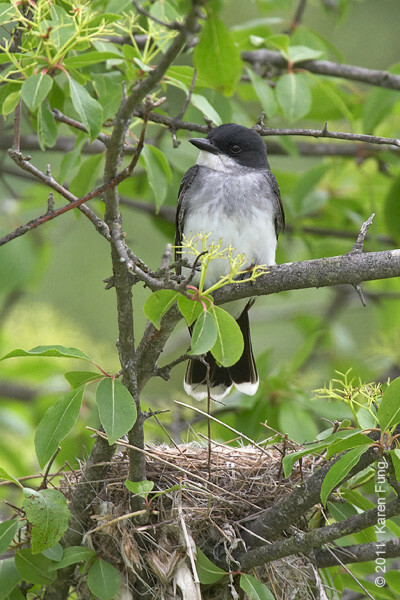 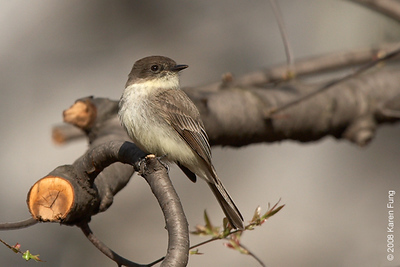 27 Dec: Couch's Kingbird in Manhattan (West Village). 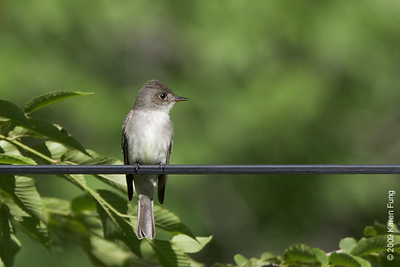 First state record, pending acceptance by NYSARC.